Found a great cafe: The Lattest Omotesando Espresso Bar. Their matcha is obviously incredible. Highly recommend. BTS of Jordans filming. Coming this Summer. We also got to explore Kyoto for a day and spend the night in a traditional, quiet hotel that was located on a street just a little ways away from the main town. I decided to be more present for this day and not be attached to my phone so I could fully take in the magic of this town. The culture is so different than what I am used to back home. People treat others with such respect. It was really beautiful to observe. Kyoto is probably one of the most amazing places I've experienced...I cannot wait to go back. 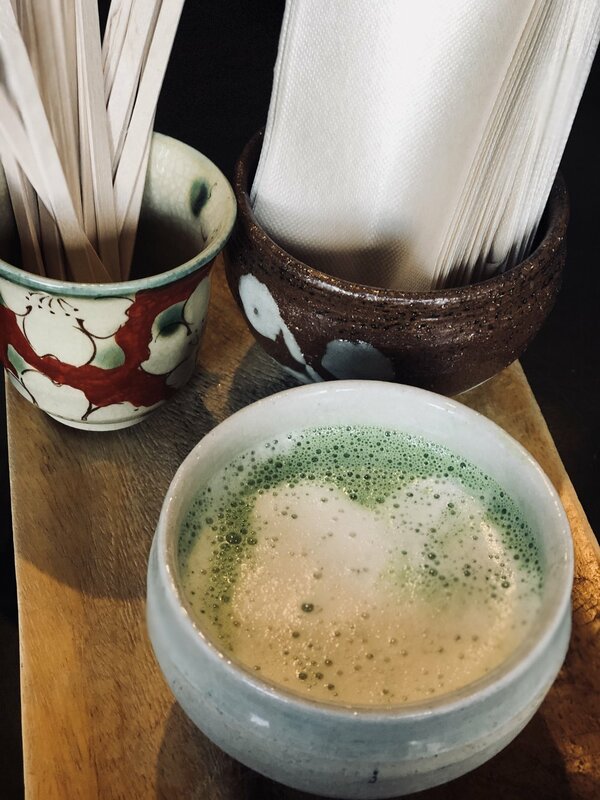 Thank you Japan for being so respectful, inviting, and for all the amazing matcha. I will miss you!